It was so much fun. 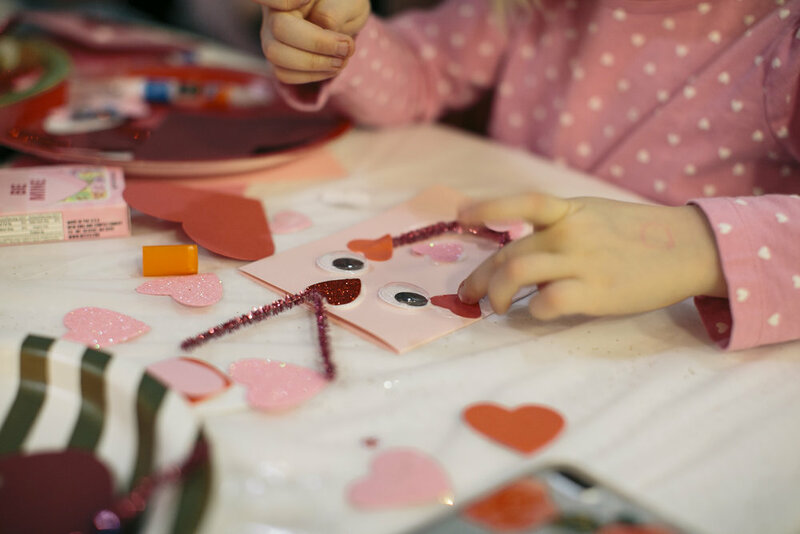 We set everyone up with all the materials and inspiration they needed to make special Valentine's Day cards. Plus, everyone got two hours of fun at Play Boutique's modern indoor play space, which has a bounce house, a jungle gym, and more! It was such a good way to get all those winter wiggles out. 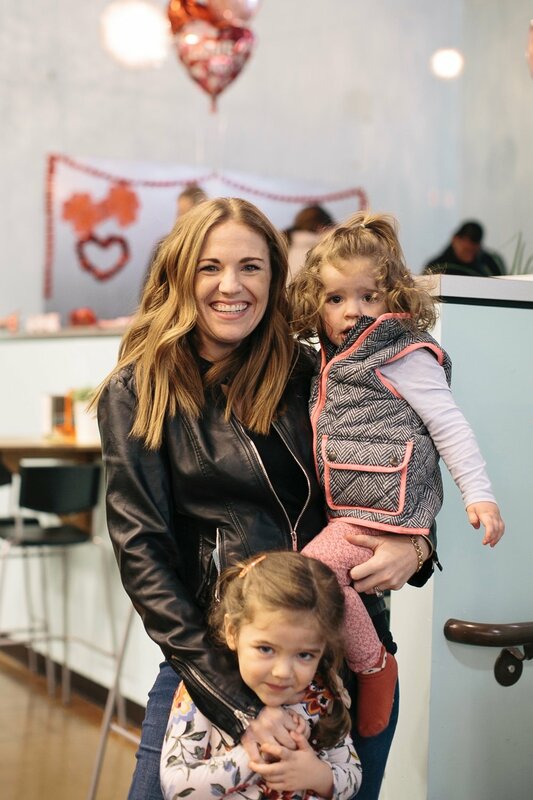 We partnered with a handful of local creative businesses, including Play Boutique, Love Hope Cookies, Portland Leather Goods, Gurton's Plant Shop, and Happy Candles. We held a silent auction and gave away a few goodies, too! Check out the picture of the empty (clean! organized!) table. 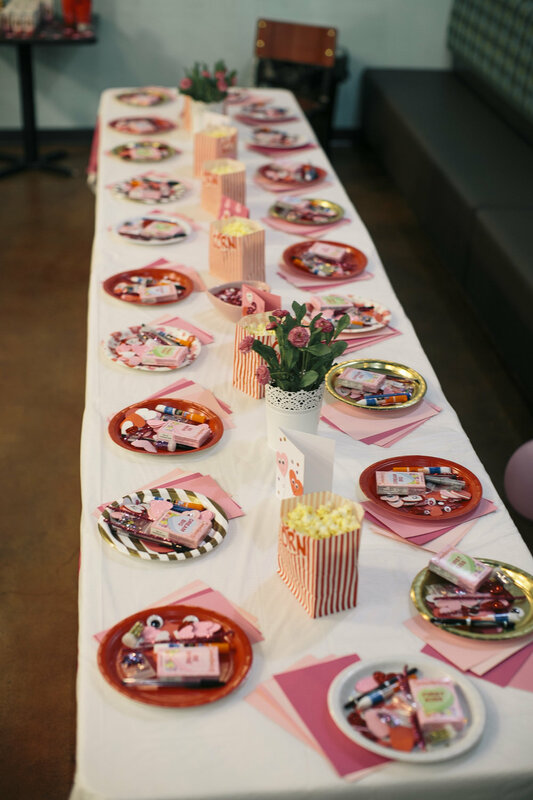 It looked like that for about two seconds before the kiddos arrived and started going crazy with the glitter, glue, sequins, stickers, sparkly pipe cleaners, googly eyes, foam hearts, and more. It was such a sweet party and I couldn't be happier with the turnout. THANK YOU to all the amazing families who came to craft and play with us!